I could never be president. It’s not the high-pressure situations and months on the campaign trail. Nor the constant media attention and high levels of scrutiny. 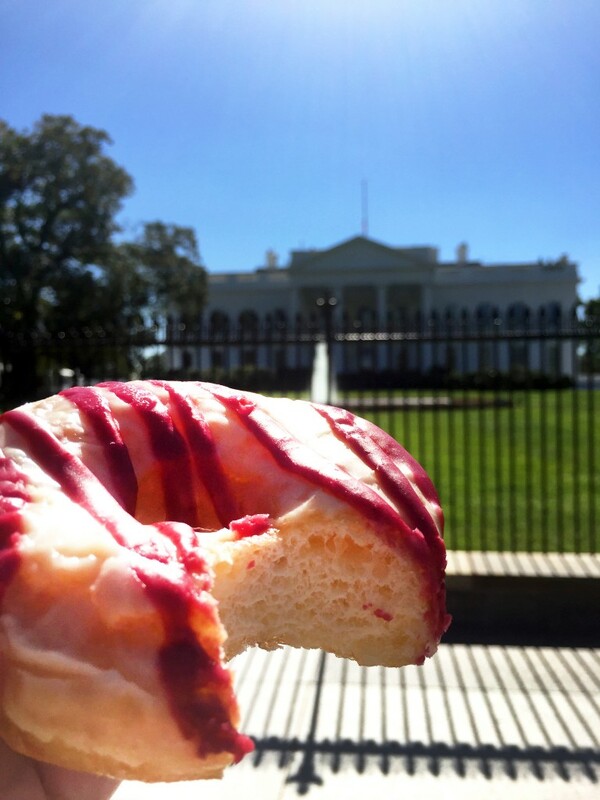 Truthfully, it’s because the White House is far too close to Astro Doughtnuts. Things would never get done if delicious, fried scents kept wafting into the oval office. And there’s a good chance I’d end up looking like President Taft if I succumbed to each tasty temptation. 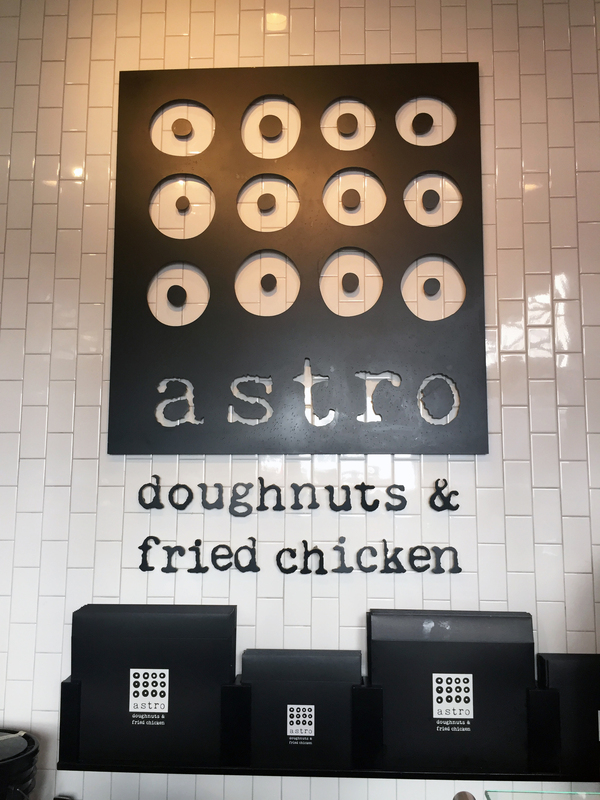 But the co-founders of Astro Doughnuts and Fried Chicken, Elliot Spaisman and Jeff Halpern, had the right exercise-to-donut balance. Both owners were former hockey players who would often make a post-game stop at a local donut joint as a treat for their hard work. And as hard as they tried to avoid an icing penalty during the game, they couldn’t avoid icing on their donuts. 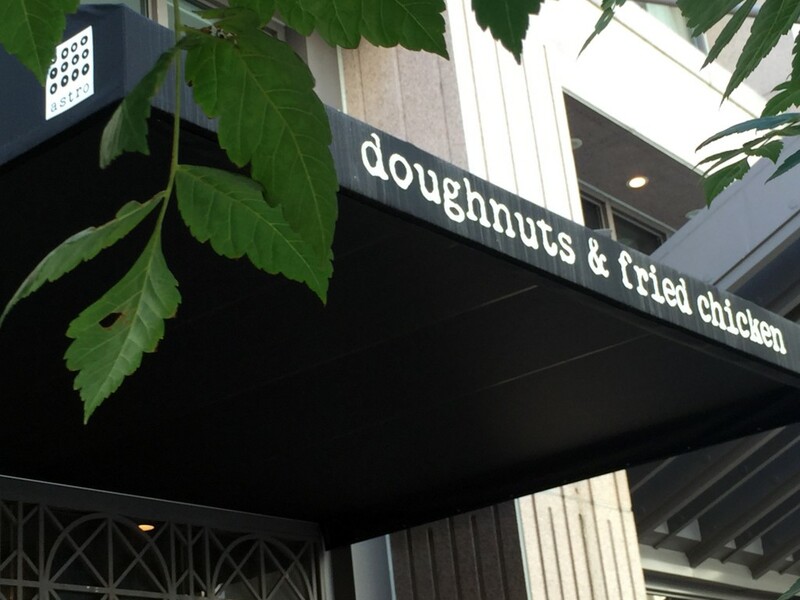 Once they retired, that’s when they teamed up with chef Jason Gehring to churn out their beloved donuts in the DC area. 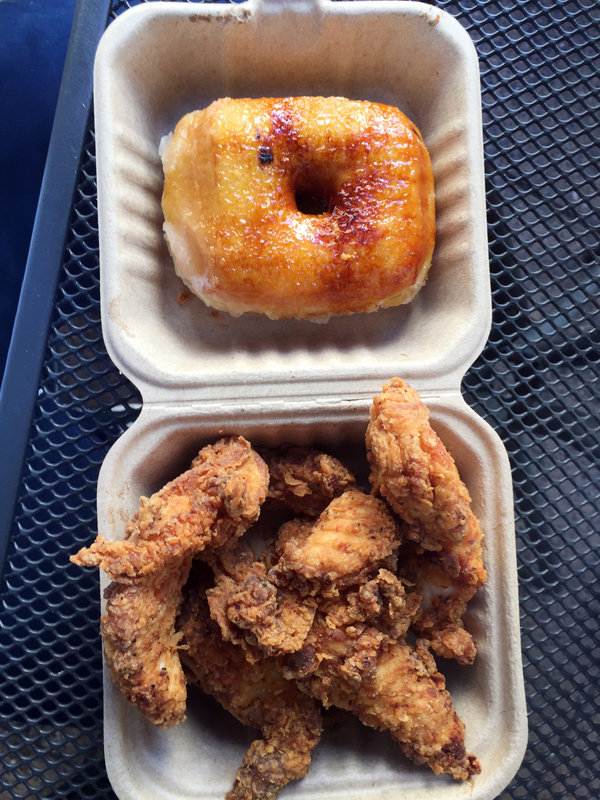 Last week, I decided to indulge in this magical (and I’m sure patriotic) combination of donuts and fried chicken. Starting with the shop’s sugary side, I grabbed three of their finest donuts: Passionfruit Blackberry, Pumpkin Cinnamon Sugar, and their renowned Crème Brûlée donut. 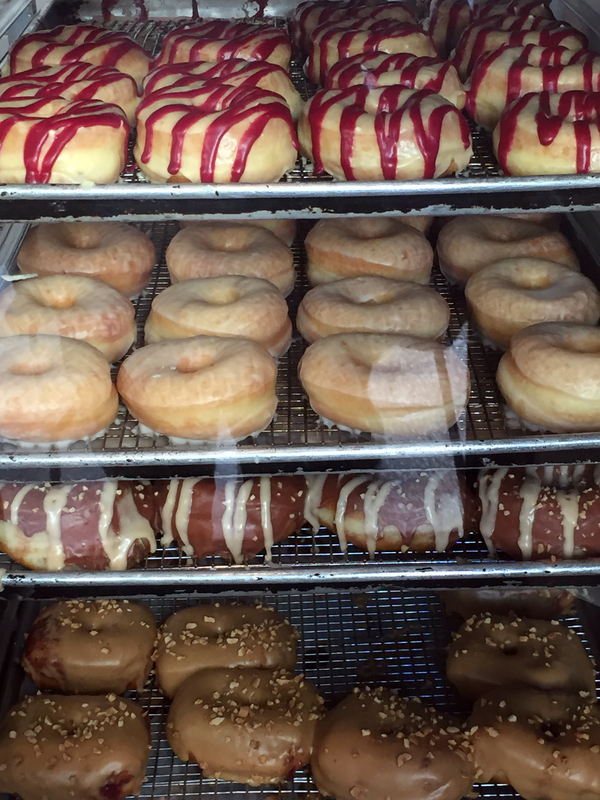 The Passionfruit Blackberry was a soft and fluffy yeast donut. Hints of citrus permeated the dough and the glaze had just the right amount of sweetness. 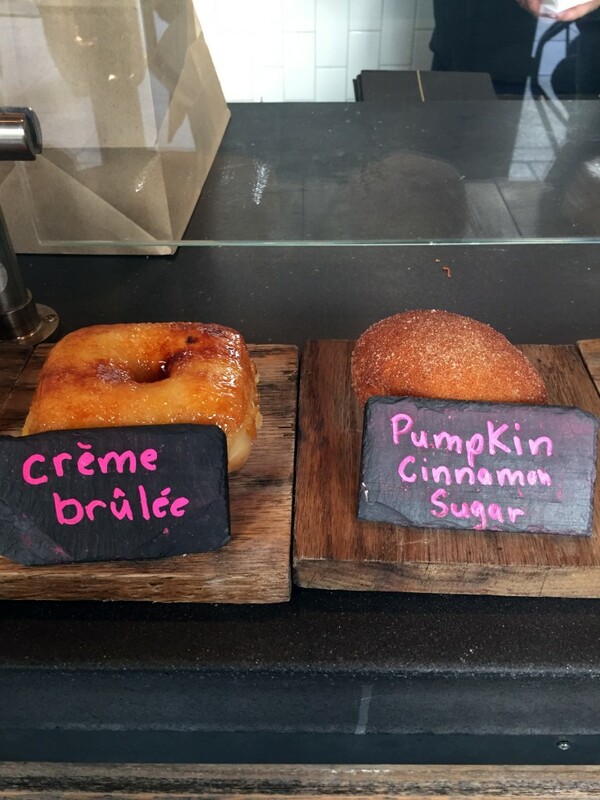 The Pumpkin Cinnamon Sugar was a pillowy donut covered in cinnamon sugared and filled with a pumpkin cream. If you ever have trouble getting into an autumn mood, this will get you there. Arguably their most famous donut is the Crème Brûlée. The donut’s fluffy innards contained a delicious creamy custard and on top was a sugary, flame-blasted glaze. The custard doesn’t overwhelm, but it’s a strong presence. And the crunch of the sugar topping provides a harmonious balance between all the textures and layers. 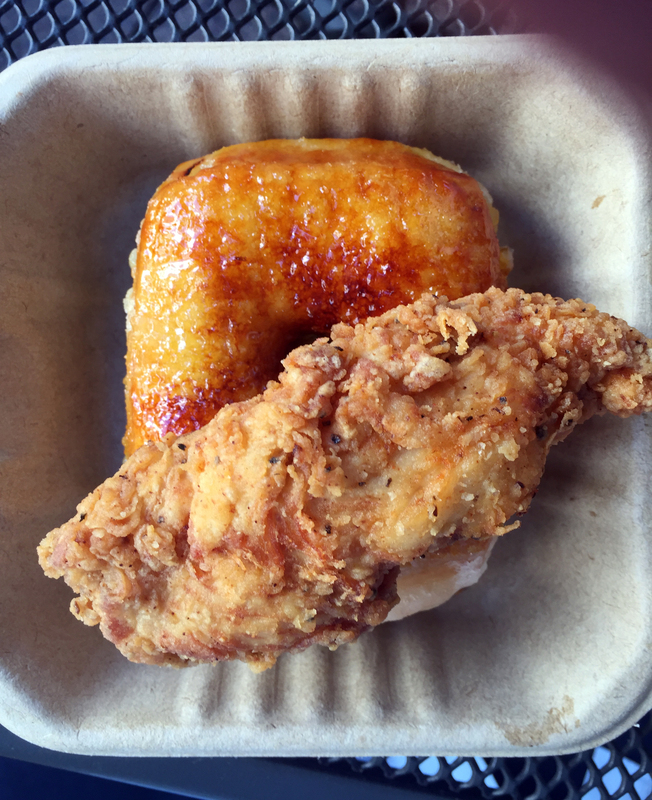 As good as the donuts are, you cannot bypass the chicken. 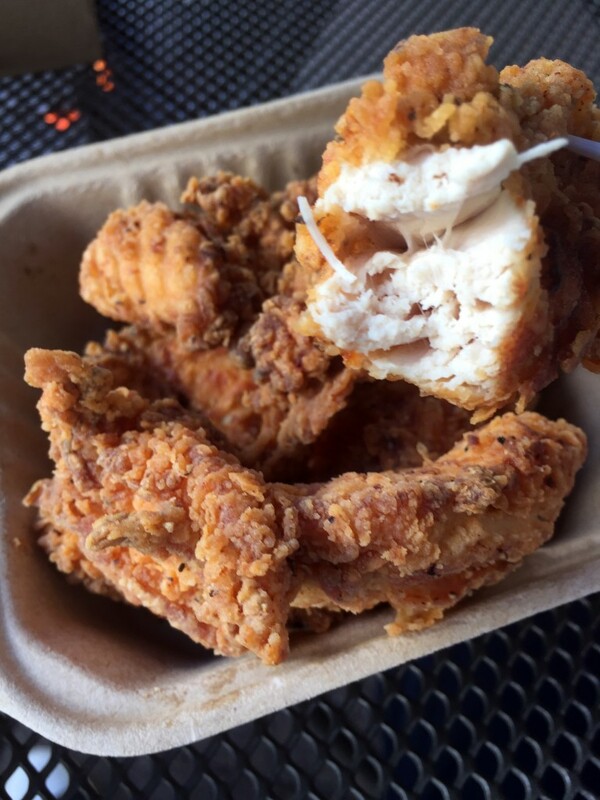 I opted for the chicken fingers. These aren’t small, fast food chicken nuggets that are filled with something you hope came from a chicken. No, they give you generous portions of white meat chicken that are beyond excellent. It’s some of the juiciest chicken I’ve had in a while. And the mix of spices laced in the crispy coating gave it a little heat, which was the perfect compliment. 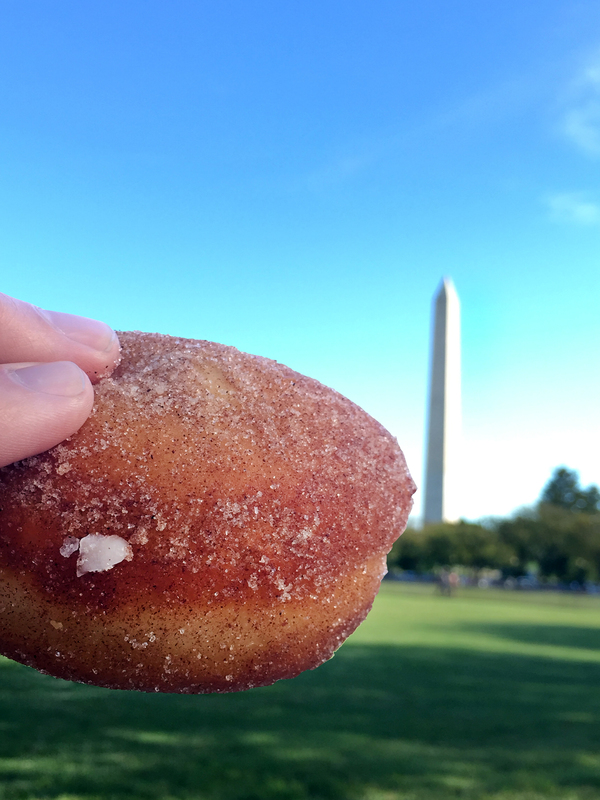 So as you’re walking among the statues and landmarks in DC, one-up all the other tourists and do your sightseeing with a donut (and fried chicken) in your hand.